My name is Steve Frechette and I am working and living in Myanmar. I put together this website to keep family and friends informed of my journey, as well as to share information about Myanmar to those who may be interested. What are you working on, Steve? For my first 10 months in Myanmar (starting September 2014) I worked as a business advisor to Proximity Designs, a social enterprise based in Yangon. That work included providing a strategic recommendation for the future of the Energy business, building a rural mechanization business model, and re-architecting Proximity’s business plan. I am now exploring short-term business consulting opportunities. 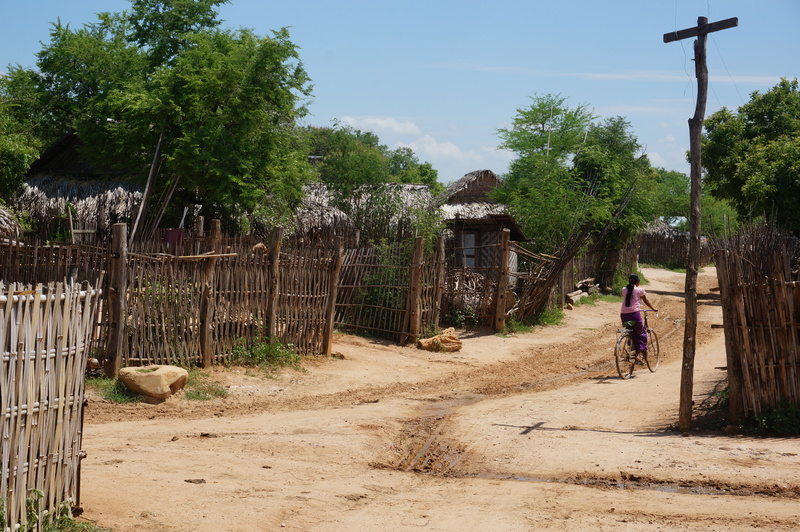 Photo: One of the villages that Proximity serves in the Dry Zone. Myanmar is one of the poorest country in Asia, and yet has begun a meteoric rise in GDP and global attention through political, social, and economic reforms. There is tremendous opportunity in this atmosphere to contribute the knowledge/skills I have developed to help (even if just in small ways) the country pursue positive change. Beyond this, I simply enjoy the excitement of throwing myself into radically different cultures. 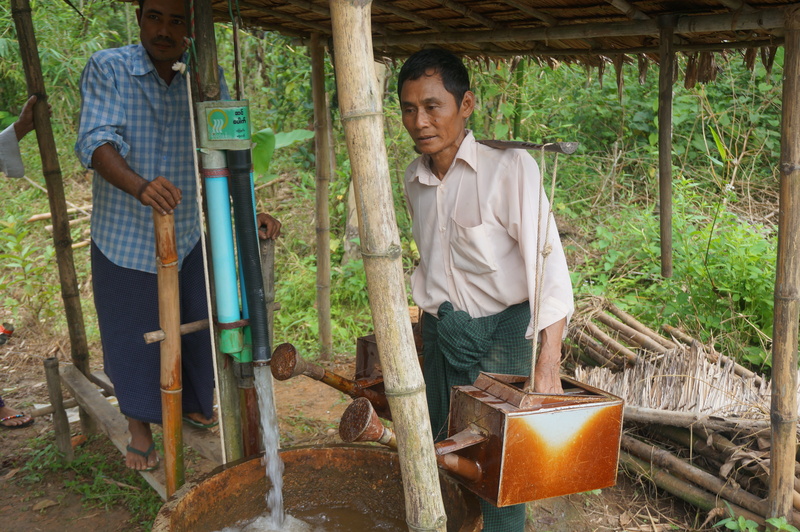 Photo: A traditional method of watering a field (by watering can) made easier through one of the Proximity Designs treadle pumps.